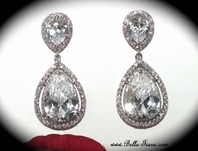 Bliss - Stunning rhinestone drops chandelier earrings - SALE!! 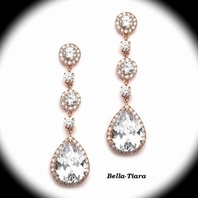 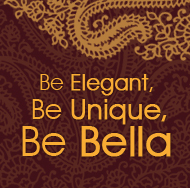 HOME / BRIDAL JEWELRY / Bridal Earrings / Bliss - Stunning rhinestone drops chandelier earrings - SALE!! 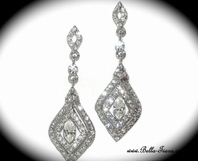 Description: These earrings are a truly exquisite accessory to your special day. 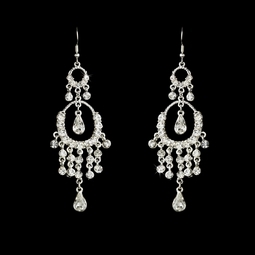 Glistening clear rhinestones line the lower half of two silver plated loops. 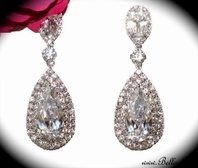 A larger dewdrop rhinestone hangs in the center of the larger loop. 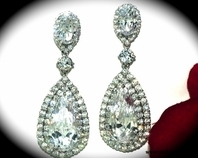 Ideal for your vintage or modern wedding. 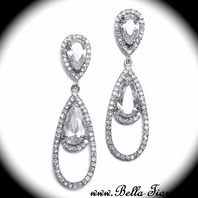 The earrings are 1" wide at the largest loop and fall to 3 1/4".